I love brownies, actually I love anything and everything that has chocolate in it. A slab of delicious dark chocolate is the best pick me up there ever can be, especially when that dark chocolate has a soft liqueur center and it calls for your attention around midnight…that’s the only time I raid the fridge. But this post is not about me, it’s about the soft, fudgy sugar-free brownie that was baked only because I laid my hands on mini chilli pretzels! Yup, you heard it right. Chilli and chocolate are an amazing combination. I’ve cooked chocolate with chicken and even with Goan pork sausages and has it been a delightful feast! Coming back to the brownie I was cooking for my husband. 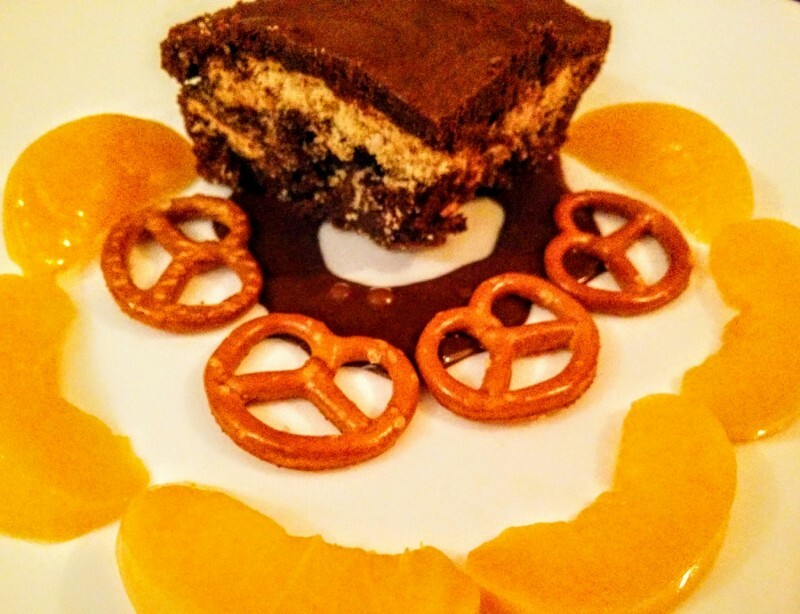 He can’t eat sugar or refined flour and my desserts are almost always sans those goodies. This one uses Splenda and was served with Bosco’s Sugarfree Chocolate Syrup. It was supposed to be eaten with sugar-free chocolate ice cream, but the spoon hit the bottom of the tub much before the brownie was baked! Anyways…try this at home. You of course could use 1 cup of brown sugar instead of the substitute. 2. In a dry pan, beat together the butter and Splenda till its smooth. 3. In another pan beat the eggs till it’s really frothy. 4. In a third pan sieve together the cocoa powder with the self-rising flour. 5. 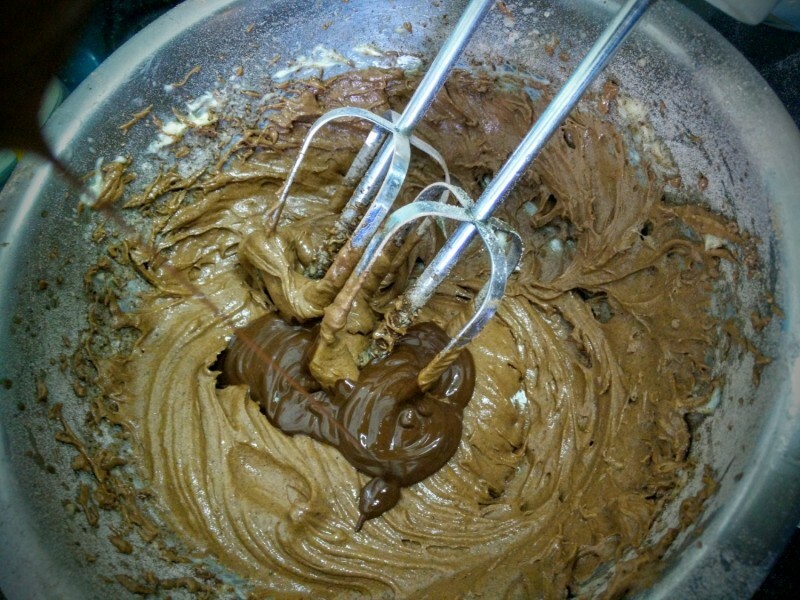 Now add the flour mixture to the butter mixture, mix well and add the liquid chocolate to it. 6. Add the egg mixture and mix well. 7. Butter an 8×8-baking dish and pour some of the brownie mix. 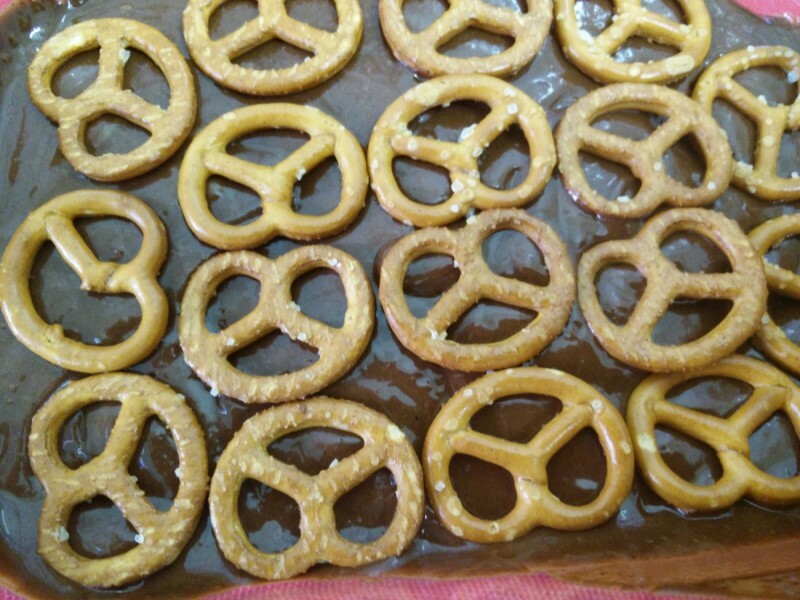 Layer it with digestive biscuit (you could avoid this and use the chilli pretzels only). 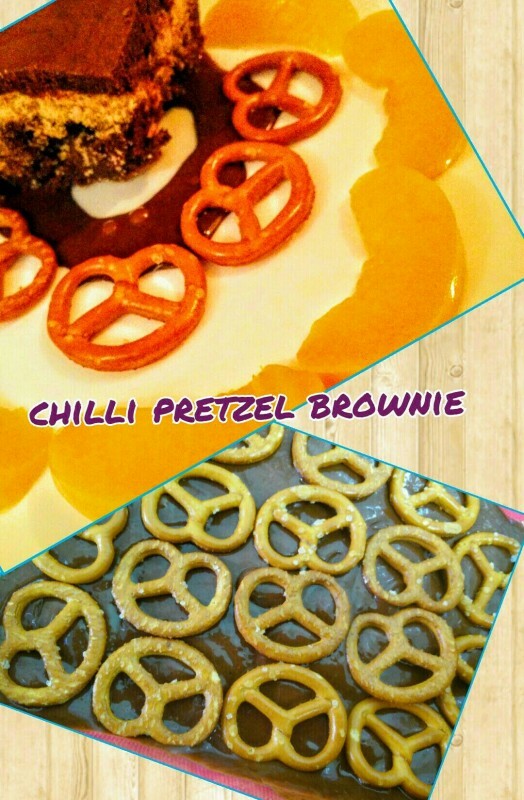 Pour some more brownie mix and add another layer of the chilli pretzels and top with the brownie mix. 8. Bake for 20 minutes or till the toothpick comes out clean. 9. Let it cool and cut it into squares. 10. I’ve served it with some skinned peaches and chocolate sauce.